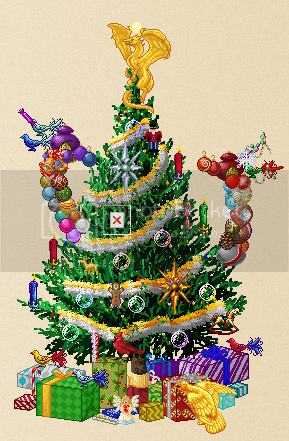 Tree Decorating Contest, show your tree. 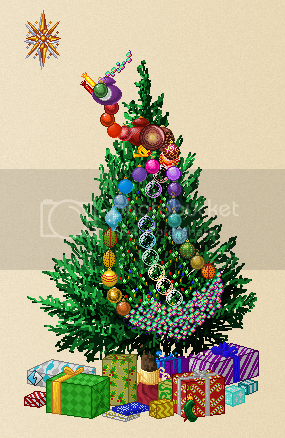 Feel free to post your Tree links here. Do not post links/trees, that do not belong to you. Edit to add: As TJ has not had time to fix the links yet, screen shots will be allowed for now. Mine is donr to the nth degre..but it was fun to do! Hmmm, that's not working, the links led to my tree! 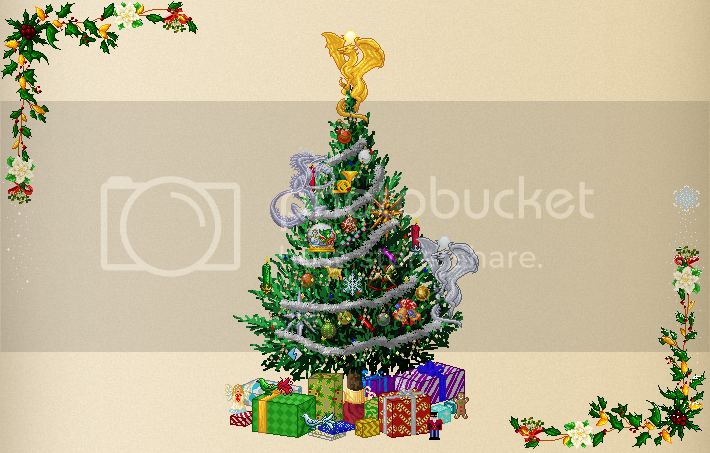 Take a screenshot of your tree and post it. 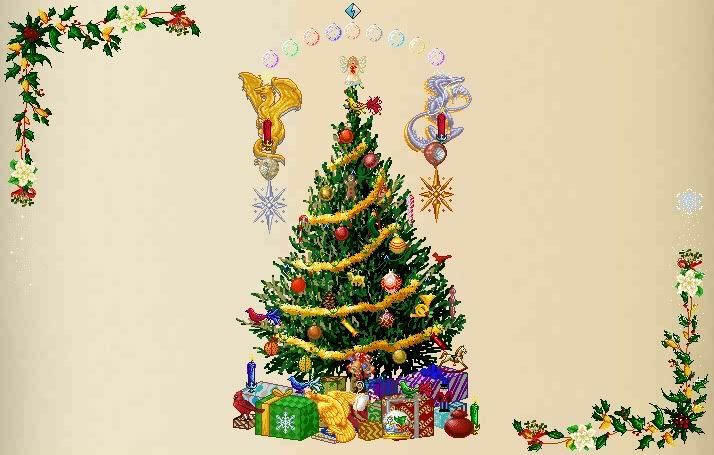 You'll have to host your tree elsewhere, that link will always show the tree of whomever clicks the link. Edited February 1, 2011 by Trinity. If TJ makes the tree link in our account page clickable, then all we need is to post our scroll link. Otherwise, yeah, need to find a hosting site to host our tree pic. It appears, I either close this and we wait until TJ fixes the link or allow screen shots. Go ahead and post screen shots for now, if you like. Here's mine, too simple really. So this is mine. I'm very proud of it. This one is mine. One of the left dragon's horns got clipped, though. And ignore the red X where the clear ornament should be. 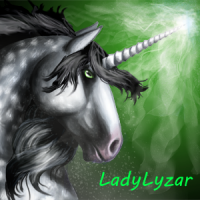 That's so cute LadyLyzar! I didn't see that one during voting, great job. There didn't used to be a gap in the middle strand of the tail-- I guess TJ vanished our duplicate purple bubble ornaments recently? I remember I voted a 9 or 10 for yours, it's awesome! Nothing extremely special. There was nothing really behind the idea. 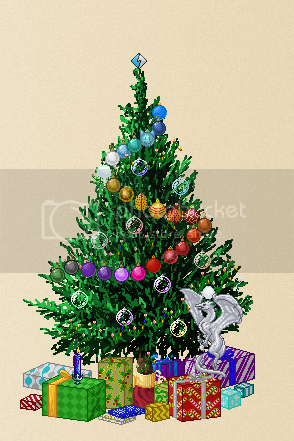 This is my one, the purple ornament above the silver dragon used to be a pink one though, until it vanished earlier... i copy/pasted the purple one back in via paint to make the effect the same as it was!! I love this one. I like the swirl on the dragons nose, I wish I had gotten to it while voting.